University of Houston Law Center Professor Renee Knake, the Doherty Chair in Legal Ethics, is among 20 active faculty members selected to the American Law Institute. Dec. 15, 2017 -- Professor Renee Knake is the latest member of the University of Houston Law Center faculty to be elected to the American Law Institute. Knake was one of 44 new members elected to the institute, which comprises exceptional judges, lawyers and legal academics from all states and the District of Columbia, along with international members. "It is an incredible honor to be elected to the ALI, and I look forward to contributing to the organization¹s efforts in improving the law," Knake said. Knake is the Larry and Joanne Doherty Chair in Legal Ethics and director of Outcomes and Assessments. She also is a faculty affiliate of the Women's, Gender, and Sexuality Studies Program in the College of Liberal Arts and Social Sciences and treasurer for the American Academy of Law School's Section on Professional Responsibility. 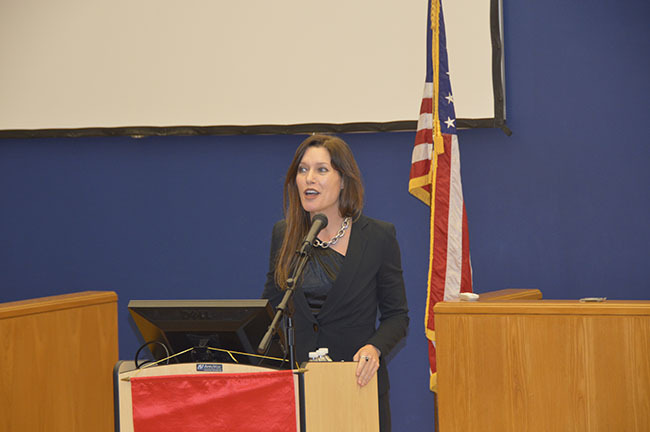 She joined the faculty in 2016, after serving as the Foster Swift Professor of Legal Ethics and co-director of the Kelley Institute of Ethics and the Legal Profession at Michigan State University College of Law, where she taught for a decade. Knake's research primarily focuses on innovation in the regulation of legal services, proposing access to justice reforms. She is an internationally recognized expert on the future of legal services, and has been invited to speak about the topic throughout the United States and internationally in countries such as Canada, England, Guatemala, Mexico, and the United Arab Emirates. Knake is an author of the casebook Professional Responsibility: A Contemporary Approach (West Publishing, 3rd Edition 2017) and more than 20 scholarly articles including publications in the Fordham Law Review, Georgetown Journal of Legal Ethics, Ohio State Law Journal, and Washington & Lee Law Review. Her work has been cited in briefs before the U.S. Supreme Court, prestigious law reviews such as the Yale Law Journal, and a range of media, including the Christian Science Monitor, CNN Money, the New York Times, the Wall Street Journal, National Public Radio, the ABA Journal, Bloomberg Law, and the American Lawyer. Knake's forthcoming book, "Shortlisted: Modern Lessons from Women Considered for the Supreme Court Before Sandra Day O'Connor," is under contract with New York University Press. Other members of the ALI from the Law Center include: Professor Emeritus Richard M. Alderman, Dean Leonard M. Baynes (ex-officio), Professor Richard F. Dole, Jr., Professor David R. Dow, Professor Meredith J. Duncan, Professor Barbara J. Evans, Lecturer Tracy Hester, Professor Lonny Hoffman, Professor Stephen Huber, Professor Craig Joyce, Professor Emeritus Robert Knauss, Professor Peter Linzer, Professor Douglas Moll, Professor and former Dean Raymond T. Nimmer, Professor J. Thomas Oldham, Professor Michael A. Olivas, Professor Joseph Sanders, Professor William P. Streng, Professor Sandra Guerra Thompson, and Professor Ronald Turner. The late Ben Sheppard and Stephen Zamora also were members of the ALI.